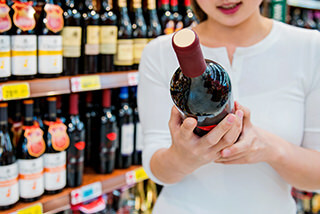 Our Liquor departments are stocked with a variety from local craft beers, sake, domestic & imported wines, spirits to hard sparkling drinks and champagne. We're ready to celebrate with you for any occasion or just because it's Aloha Friday. Beer Keg rentals are available through our Liquor Department. Other beers are available upon request. Deposits and rental fees apply. Please speak to the Liquor Department Manager at your local KTA for more information. Due to the Hawai‘i Liquor Law, all liquor sales are prohibited after 11pm and to minors under the age of 21. Minors under 18 years old may assist physically challenged adult family member(s) in the transport of such liquor in a shopping cart or to a vehicle.